The car is synonymous with modernity, innovation, change and development and the automotive sector is constantly evolving and progressing. Parts suppliers work constantly to improve materials to meet the specifications required by the carmakers and interior design keeps ahead of trends. A first layer, which is made of woven or knitted polyester fabrics for most vehicles. An intermediate layer where the polyester is bonded to a foam, which can be an ether or ester-type polyurethane. The foam gives the upholstery comfort and softness, known as “soft”. The back of the upholstery, a thin, non-woven or knitted fabric is used as an acoustic and thermal absorbent. A two-layer upholstery is thinner, does not contain intermediate foam and is formed by polyester fabric and non-woven or circular knitted fabric, which acts as a barrier. Upholstery manufacture is usually performed on a machine called a foamiser, which works with flame jets and rollers. The materials pass through the rollers and are bonded together by the heat of the flame. Adhesives are not usually used and it is very important to control the height of the flame, the speed of entry and exit of the components, their tension, etc. Carmakers are very aware of the safety of the occupants. To comply with regulations and ensure the health of occupants, lightweight materials are needed which do not emit toxic substances that may be harmful; the emission of formaldehyde, amines, VOCs (volatile organic compounds) and odours are all strictly controlled. 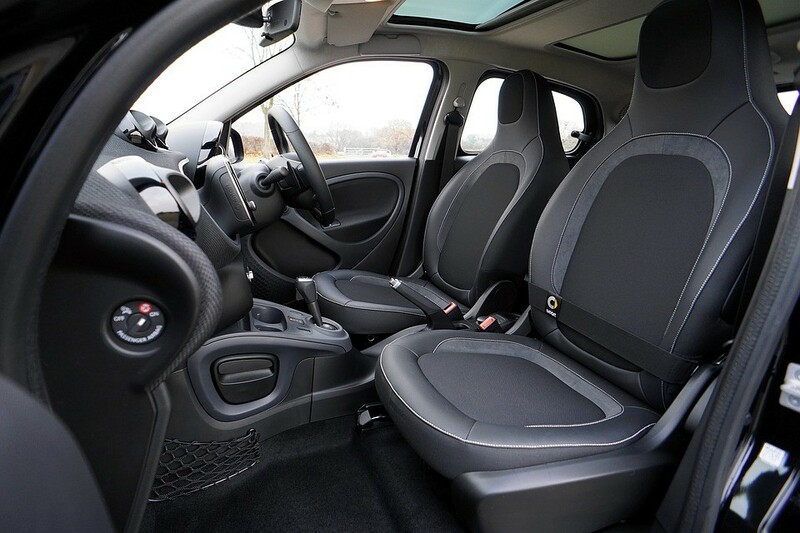 Although it is virtually impossible to eliminate the smell inside a vehicle, efforts are made to ensure it remains neutral, that is, the interior does not smell of anything. However, leather upholstery is used in more expensive ranges of vehicles. Leather must comply with requirements demanded by carmakers in terms of aging, emissions, colourfastness, physical properties, microbiological tests and reaction to fire. As regards smell, it is accepted that this type of upholstery smells of leather, but it must always be within margins that do not offend the occupants. That they possess good chemical and physical performance against soiling and cleaning, detergents, dry and wet rubbing, pilling and staining with water and other agents. Strength and stretch, seam bursting, moisture absorption, adhesion strength, elongation and recovery, resistance to snagging and abrasion performance are within manufacturer’s specifications. These criteria are designed to guarantee manufacturing standards and the use of high-performance materials to create first-class interiors, to meet the requirements of ever more demanding buyers.